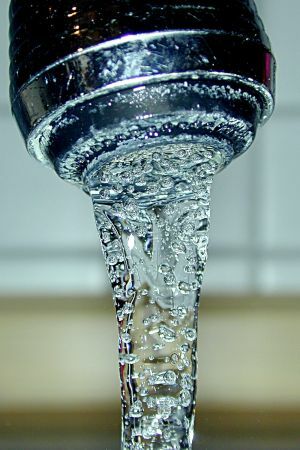 WHEN you can stroll over to a tap whenever you like and help yourself to a glass of clear, cool water, it is hard to believe that one of the biggest business opportunities of the 21st century, and one of the best opportunities for business to give back to society, lies in supplying fresh water. But global demand for water has grown six-fold over the past century, while the population has quadrupled. If this trend continues, our current resources and infrastructure will not be sufficient to supply enough water to meet demand. While the global water industry is diversified and, in terms of committed capital, ranks on a par with the oil, gas and electricity industries, it has not attracted much private investment. It’s time for entrepreneurs and business leaders to get involved, because finding creative solutions to these challenges will require not just great political leadership and innovative research, but a transformation of business itself. The perception of plenty is only an illusion: most of the earth’s fresh water is frozen in the polar ice-caps, trapped in the soil or in deep, inaccessible underground lakes; only 1% of all fresh water is available for people to drink and use. For the most part, the water sources we rely on — lakes, rivers, reservoirs and underground — are renewed by rain and snowfall. Our use should be sustainable in theory, but in some cases, we have already crossed the line and are depleting these sources. The United Nations estimates that by 2050, more than 60% of the world’s population will lack fresh water for drinking and cooking. If you are an entrepreneur hoping to make a difference in your community or society, this is a sector you should consider. With so many people in need, and different challenges facing every region, there are limitless possibilities for innovation: new and better means of supply, delivery, recycling and treatment. The related area of water conservation touches on every aspect of life, from how people brew their morning tea to how companies manufacture goods. via BusinessDay – RICHARD BRANSON: Entrepreneurial solutions for a thirsty planet.